Alexander Seifalian, Professor of Nanotechnology and Regenerative Medicine worked at the Royal Free Hospital and University College London for over 26 years, during this time he spent a period of time at Harvard Medical School looking at caused of cardiovascular diseases and a year at Johns Hopkins Medical School looking at treatment of liver. He published more than 647 peer-reviewed research papers, and registered 14 UK and International patents. He is currently CEO of NanoRegMed Ltd, working on the commercialisation of his research. During his career Prof Seifalian has led and managed many large projects with successful outcomes in terms of commercialisation and translation to patients. In 2007 he was awarded the top prize in the field for the development of nanomaterials and technologies for cardiovascular implants by Medical Future Innovation, and in 2009 he received a Business Innovation Award from UK Trade & Investment (UKTI). 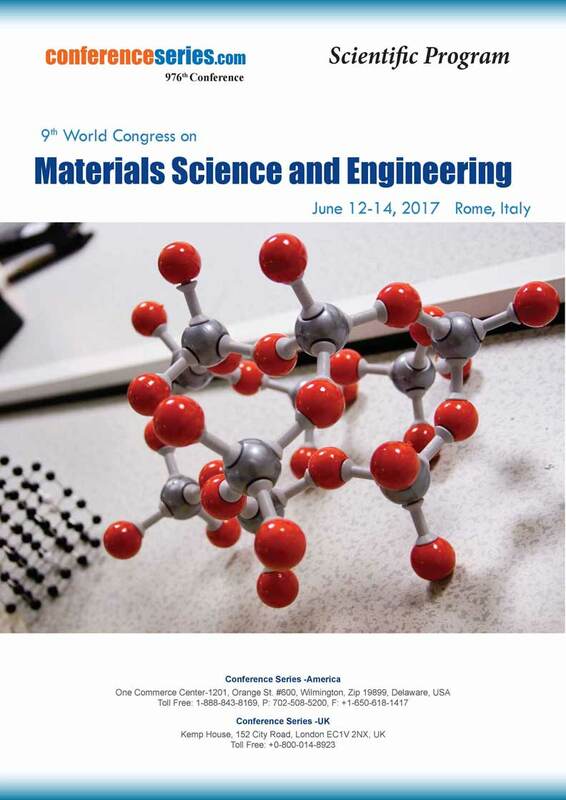 nanocomposite materials, bioactive molecules and stem cell technology. Rabah Ali Khalil is a full Professor of Physical Chemistry in University of Mosul, College of Science, Chemistry Department. He completed his Ph.D. in Physical Chemistry at University of Mosul in 1994, his M. Phil. Degree in Inorganic Chemistry at University of Sheffield in 1990 and his B.Sc. in General Chemistry at University of Mosul as a1st among 128 students. He has published more than 28 papers in reputed journals, serving as an editorial board member, keynote speaker, TPC and OC member at many international conferences. His most cited articles are Kinetic and prediction studies of ascorbic acid degradation in normal and concentrate local lemon juice during storage, Food Chemistry (2007) 101:254-259 and Theoretical estimation of the critical packing parameter of amphiphilic self-assembled aggregates, Applied Surface Science (2014) 31	8:85-89. He introduced a new physical insight for the formation of worm-like micelles (CIF), J. Chem. Soc. Pakistan (2014) 36:211-220. Physical Chemistry; Surfactants & Colloids; Computational Chemistry; Physical Pharmacy; Wormlike micelles. Zbigniew Władysław Paszkowski (born 1955) - full professor, PhD. architect, graduate of the Faculty of Architecture at the Cracow University of Technology, professor at the Faculty of Civil Engineering and Architecture of the West Pomeranian University of Technology in Szczecin, head of the Department of History and Theory of Architecture, member of the Urban Planning and Architecture Committee of the Polish Academy of Sciences. Author of scientific publications in the field of architectural theory, history, and modern trends in architecture. 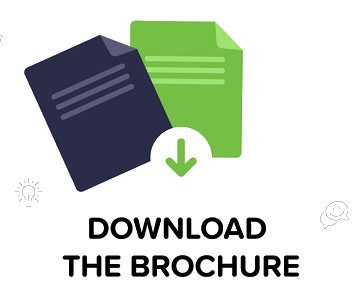 Promotor of several doctoral theses. Author of many architectural housing and public building projects and realizations, founder and leading architect of the URBICON Ltd. architectural design office (since 1990) in Szczecin. He also conducts research on the application of different new materials in his architectural design projects. Newest research is devoted to applicability and fire resistance of the different composite materials in the building facades of his architectural projects. Stig Irving Olsen is associate professor at the division for Quantitative Sustainability Assessment at DTU Management Engineering at Technical University of Denmark. Dr. Olsen has more than 25 years of experience in research, education and consultancy in environmental assessment of products and systems towards authorities and industry. He is expert in Life Cycle Assessment with focus on applying LCA for decision support. A particular research focus has been on environmental assessment of emerging technologies such as nanotechnologies, 2nd and 3rd generation of biofuels. As WP leader in a number of EU projects he has experience evaluating the environmental and social aspects of technologies. Projects he has been involved with include nanotechnologies (mainly use of functionalized nanomaterials in polymers) and recycling of polymers and C&D waste. He is senior editor and member of founding board for the journal Integrated Environmental Assessment and Management and submission editor for International Journal of LCA. Manijeh Razeghi is Walter P. Murphy Professor of Electrical Engineering at Northwestern University and Director of the Center for Quantum Devices, which she founded in 1991 after a successful 10-year career as the Director of Exploratory Materials at Thomson-CSF, France. She is one of the leading scientists in the field of semiconductor science and technology, having pioneered the development and implementation of major modern epitaxial techniques. Her current research interest is in nanoscale optoelectronic quantum devices from deep-UV up to terahertz. At Northwestern University she has commercialized aluminum-free pump lasers, developed type-II superlattices for next generation infrared imagers (an area in which she holds key patents), and currently holds most of the quantum cascade lasers records for high power and tunability. She has authored 18 books, 31 books chapters, and more than 1000 journal publications. She is editor, associate, and board member of many journals, including Nano Science and Nano technology. Her awards include the IBM Europe Science and Technology Prize, the SWE Lifetime Achievement Award, the R.F. Bunshah Award, the IBM faculty award, Jan Czochralski Gold Medal, and many best paper awards. She is a fellow of SWE, SPIE, IEC, OSA, APS, IOP, IEEE, and MRS.
Nanotechnology, perovskite ceramics for microwave. Dr. Rupendra M. Anklekar is working as Professor in Mechanical Engineering Department at Alamuri Ratnamala Institute of Engineering and Technology (ARMIET) run by Koti Vidya Charitable Trust and affiliated to the University of Mumbai. Teaching Materials Technology and Power Plant Engineering for B.E. ; Energy Audit & Management, Energy Scenario, Policy & Environment, and Energy Efficiency in Electrical Systems for M.E students. As Dean of R&D, focused and dedicated on developing an excellent R&D Center at ARMIET by working with industries and Government agencies. Have 20+ years of R&D experience in industry and developed new materials processes and high-tech equipment; 10+ years in academia carrying out teaching and research. Research Faculty/Post-Doctoral Scholar at Pennsylvania State University, USA for 3 years. Awarded the B.Tech., M.Tech. and Ph.D. degrees in Metallurgical Engineering & Materials Science from the premier institute IIT Bombay. Published about 70 peer reviewed technical papers in reputed International Journals and Conference Proceedings; Inventor of 5 Patent Applications in India, USA and Taiwan. Invited recently for attending the 2017 Shandong Experts Conference on Exchange of Overseas High-Level Talents held in Liaocheng City; awarded Letter of Appointment as Distinguished Expert by the Chinese Government. Somnath Nandi is Associate Professor at Savitribai Phule Pune University. He holds B. Tech from University of Calcutta, ME from Nagpur University and PhD from National Chemical Laboratory Pune all in Chemical Engineering. Dr. Nandi works on Modeling, Simulation, Optimization, Energy and Green Technologies. He has authored and coauthored 14 articles in International peer reviewed journals and about 50 research articles in various international and national conferences, also contributed 5 book chapters. He is reviewer of couple of international journals like Fuel, Automatica, Industrial Engineering Chemistry Research, Journal of Environmental Management, Process Safety and Environmental Protection, Applied Water Science, Current Pollution Reports, Journal of Institutes of Engineers etc. Green Technologies, Applied Water Science. Mohamed BARBOUCHE has his expertise in materials science and engineering for solar cells and microelectronics. He obtained an engineering diploma in instrumentation and industrial maintenance. He has a research master degree in instrumentation and measurement and PhD diploma in electronics. He works as an engineer since 2011 in research and technologies center of energy. He works on photovoltaics, microelectronics and fuel cells. He is a member of editorial team of scientific journals. He participated to international conferences organization. Nanotechnology and microelectronics, Metrology and sensors, Renewable energy. Professor Hao GONG’s research areas are in electronic, functional, and sustainable energy materials thin films, nanostructures, heterostructures and devices. 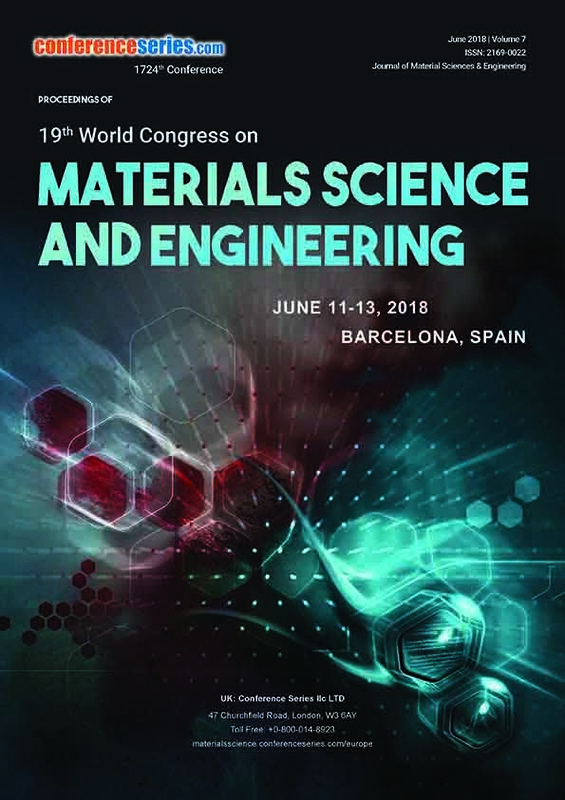 Considerable efforts have been made in the design, fabrication and study of electronics and functional thin films and structures. 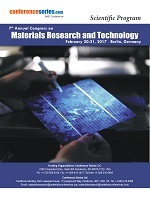 PVD, CVD and chemical solution techniques are used for thin film deposition and nanostructure fabrication. Transmission electron microscopy (TEM), electron diffraction and several other material characterisation methods are also of interest to my research group. Of particular recent interest and concentration are supercapactors, solar cells and transparent and functional semiconducting and conducting oxide (TSO and TCO) and compound semiconductor thin films; nanostructures and devices; supercapacitors; solar cells; functional devices. Other functional II-VI and III-V semiconductor thin films, gas sensors and high energy density supercapacitors have also been succeeded and studied. Furthermore, he has studied various layers of films in solar cells and integrated circuits through collaboration with solar cell and semiconductor wafer fabrication industries. Electronic, functional, and sustainable energy materials thin films, nanostructures, heterostructures and devices. Graduated with honors and received PhD in Physics from Moscow Institute of Physics and Technology in 1981. Started his scientific carrier at P.N. Lebedev Institute of Russian Academy of Sciences in Moscow and later worked in many research centers worldwide. At present, he is Professor of Physics at Leibniz University Hannover, Institute of Quantum Optics and Chair of Nanoengineering. 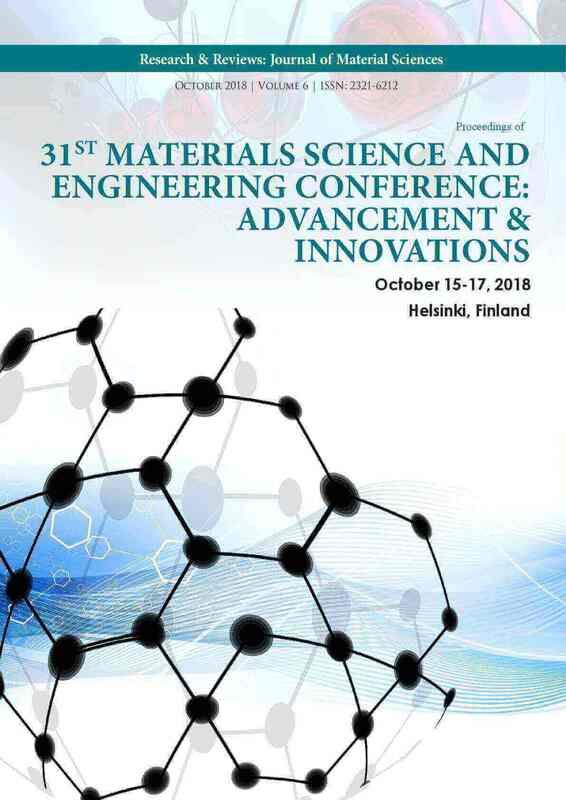 laser physics and laser applications, quantum and nonlinear optics, nano- and biophotonics, nanoengineering, biomedical implants and devices, tissue engineering and regenerative medicine.